Creative productivity. Intuitive Design. Powered by Humans. Free 2-week trial. 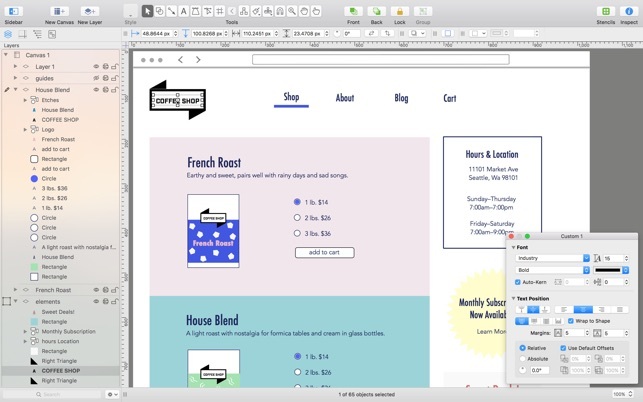 Design and build incredible graphics, diagrams, process charts, website and app wireframes—from the painlessly simple to the infinitely complex—inside OmniGraffle 7. Create everything you can imagine in the ultimately scalable and easy-to-use app for precise, beautiful graphics. Discounts and free upgrades to OmniGraffle 7, both Standard and Pro, are only available to those who purchased an earlier version from the App Store. Double-check that you purchased a prior version from the App Store via the “Purchased” tab in the App Store app. If you need help, please email sales@omnigroup.com. OmniGraffle 7 is an entirely new version with improvements as fine as tweaking individual Bézier points in typography and as broad as the artboards your type is laid out in. Elegantly organize your Infinite Canvas in a brand new Sidebar and improved inspectors. With the free two week trial, you can try all of the features of Standard and Pro without buying anything. 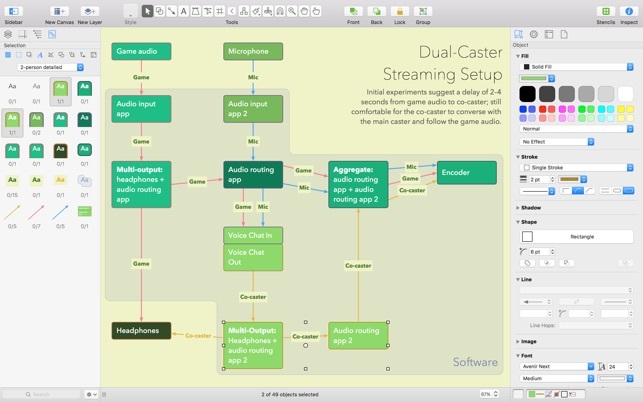 After the trial, you can continue to use OmniGraffle to view documents for free. - Unified Sidebar: improved interactions with objects, layers, and canvases in a newly organized sidebar. - Point Editor Tool: Immediate access to each and every point on a shape. - New Export Panel: With just a few clicks, export your graphics in multiple resolutions, perfectly named and organized. Batch exporting, filling set dimensions, and previews are all included. - Infinite Canvas: make your canvas expand automatically in one, two, three, or all directions. - Keyboard Shortcut Sets: customize every menu bar command and tool with your preferred shortcut, or choose from a few different sets from popular apps. 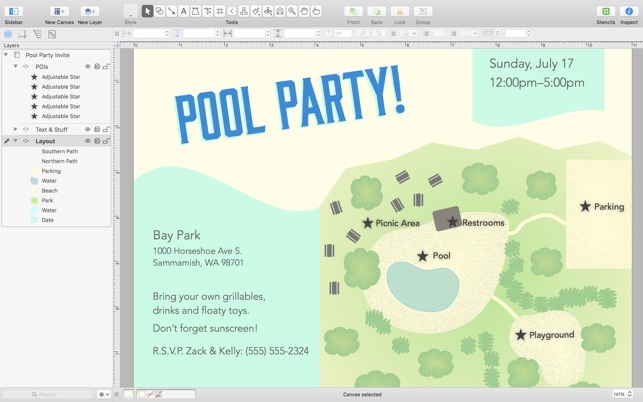 - SVG import: paste in SVG code or import SVG files directly to OmniGraffle. - Artboard Layers: Use artboards to set up advanced, exportable elements, or as another way to organize your canvas. - Convert text to shapes: convert text to make tweaks to character shapes or add complex styling. - Convert lines to shapes: turn a line’s stroke into a shape with easily editable Bézier points. - Visio import/export: Open Microsoft Visio® documents (VSD or VDX) directly in OmniGraffle, as well as Visio stencils (VSS) and templates (VST). Export to Visio XML documents (VDX). - Shared layers: Easily update common elements that you'd like to display on multiple canvases. Layers can now be toggled between normal and shared. - New controls specify which edge or center of an object is reflected in the Geometry Inspector. You can set the X and Y coordinates of a selected vertex point. - Non-destructive shape combinations: Easily create new shapes using combinations of existing shapes (with support for union, intersection, and subtraction). Combined shapes can now be uncombined into their component shapes. - Resolution-independent Display Scale: When zoom is at 100%, match an Apple point, PostScript point, or screen pixel. - Photoshop export supports the export of OmniGraffle layers to Photoshop layers. - Tables: Group shapes using tables, making it easy to add new rows or columns of your template shape. - Xcode import: Generate a Class diagram of an Xcode project automatically. For the complete manual, visit our website! If you have any feedback or questions, we’d love to hear from you! We offer absolutely free tech support: you can reach us by email at omnigraffle@omnigroup.com, by phone at 1-800-315-6664 or +1 206-523-4152, or on twitter at @omnigraffle. • Alignment — Added a new option to the Canvas preference pane to control the alignment behavior. You can now toggle between Align to first-selected object and Align to selection. • Align Bottom Edges — Fixed a bug in the Align bottom edges option that caused it to align to the left-most object. • Text Selection — Fixed a bug that sometimes made it difficult to select text that was right or left aligned when the Click through objects with no fill preference was enabled. • SVG Export — Fixed a bug that caused text in SVG exports to not be positioned correctly when objects or text were rotated. • Variables — Fixed a bug that prevented Object Data fields from being edited when the Canvas Name variable was used on a Shared Layer. • Connections to Groups — Fixed a bug that caused lines to draw to the center of a group when initially connected to a group. • Magnets — Fixed a bug that prevented Magnets from appearing reliably when hovering over an object with the Magnet Tool. • Stability — Fixed a couple of crashes that were reported. Thank you for sending us those reports! If you have any feedback or questions, we’d love to hear from you! The Omni Group offers free tech support; you can email omnigraffle@omnigroup.com, call 1–800–315–6664 or 1–206–523–4152, or tweet @omnigraffle. OmniGraffle took away my PAID application! I purchased OmniGraffle 6 Pro on my previous laptop (which was already a paid upgrade from my old OmniGraffle 5 license). Upon migrating to my new workstation, I found that my license no longer applied and I was asked to purchase a pro license again for another $199 (though I swear I paid $299 once upon a time…). I was told I could continue to use OmniGraffle 6 pro or get special upgrade pricing if I just re-downloaded 6 off the App Store. However, OmniGraffle 6 isn’t available on the App store! I have used OmniGraffle for years for both personal and professional projects and have always loved it compared to other products on the market. This licensing and upgrade policy is enough to make me change my entire workflow away from anything OmniGroup. Omni Group: If you want to use a subscription model, use a subscription model. But if you are offering persistent licensing, make sure to leave the downloads online so you don’t anger all the customers who paid hundreds of dollars for your app! I’m sure there are plenty of people who would rather buy access to OmniGraffle on a month-by-month basis as needed by their projects if you lowered your pricing to account for a subscription model. 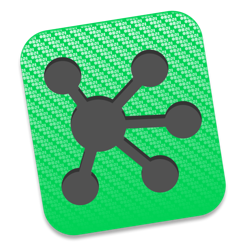 OmniGraffle 6 is no longer available on the Mac App Store but it should always be available in your purchase history as long as you are signed in with the same Apple ID that made the original purchase. We removed OmniGraffle 6 and OmniGraffle 5 from the Mac App Store search results because we want people to purchase the version that we are actively improving and maintaining. If you are still having trouble getting upgrade pricing then our Sales team can help! Please email us for assistance: sales@omnigroup.com We are continuing to work on new licensing options (like the new Site Licensing options added to OmniGraffle for iOS) if there are ways we can improve our pricing models to better meet your needs we'd like to hear that too. 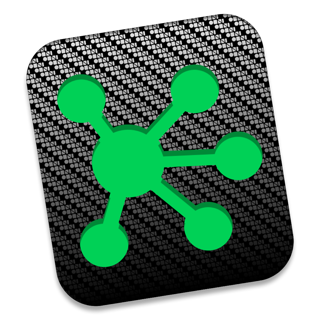 I have been using Omnigraffle Pro v. 6 for some time now. I am a big fan. The app kills Visio with its vector graphics base. That said, version 7 is leaving me less than thrilled. I love the addition of the keyboard shortcuts, but it falls short in that I want to mimic the keystrokes I already use for all of the Adobe applications and that can’t be done. The other very large issues for me have to do with the right side of the screen. The changes made to the way stencils are presented in a separate floating window are terrible. Whomever developed that must not actually use the application. The other huge issue is the decreased number of page options for the inspector which has now caused me to have to scroll up and down looking for the settings I need. Again, I can’t imagine anyone who spends any serious amount of time using the appplication would design this in this manner. You need a new product lead. I would give version 6 pro a 4.5 star rating. Version 7 I can only give it 3 stars as it is so frustrating to use I will stick with version 6 Pro. I have been using Omnigraffle for many years and through a number of versions. I also use Omnigraffle 2 for iPad. I am a Solution Architect and part time Mobile Developer. Needless to say I use both the MacOS and IOS extensively. While the user interface is different than Visio’s (what some consider an industry standard), I prefer Omni’s design. 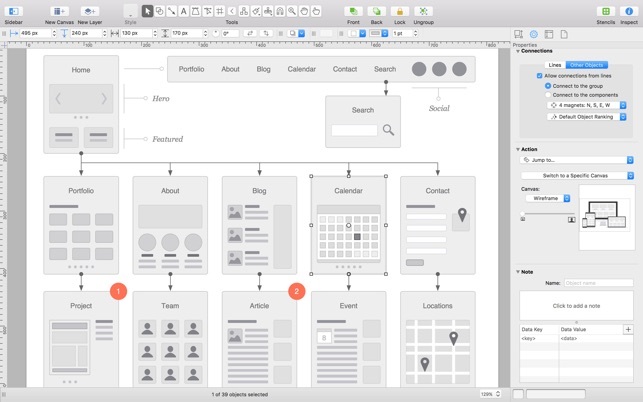 Some of the reasons are: intuitive to MacOS users, sensible grouping in the inspectors, awesome new image printing with the art boards, rapid prototyping (to my knowledge this doesn’t exist in Visio), single click for the most common tools, and many more. 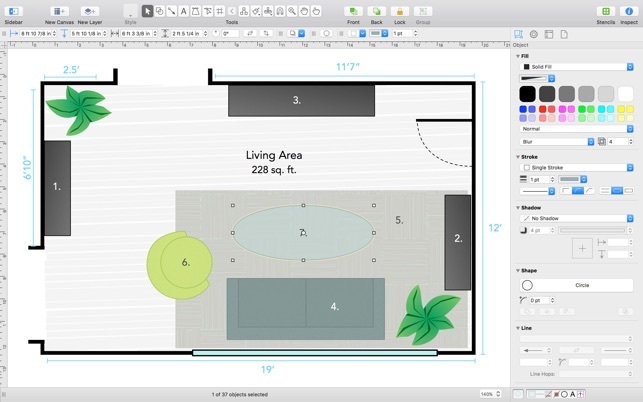 Considering the last the current price of Visio Pro is just under $600 and the pro version of Omnigraffle is at most $199 (upgrade from previous pro is only $99) and you have the best technical drawing tool out there. Well done again Omnigroup!